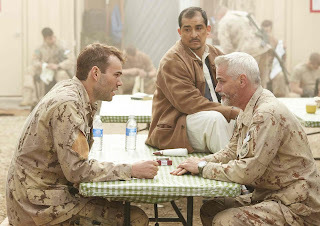 The only movie of which I know about the Canadian military in Afghanistan, Hyena Road opens with a small sniper team, led by Warrant Officer Ryan Sanders (Rossif Sutherland), on a mission. 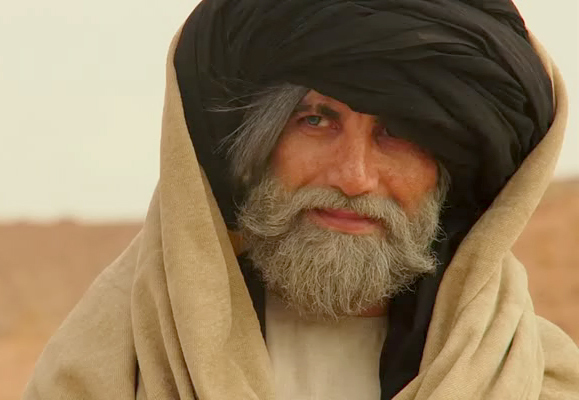 That mission almost completed, the team is attacked by Taliban fighters before it can be extracted, and is saved by the intervention of an enigmatic man (Niamatullah Arghandabi), who shelters them in his house. This leads to the involvement of intelligence officer Pete Mitchell (Paul Gross), who believes the man is ‘the Ghost’, a legendary mujahid, famous for battling the Soviets. 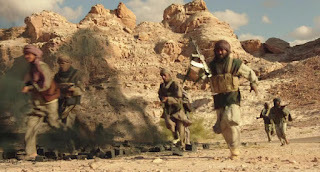 A plan is evolved to try to persuade the Ghost to help in the current struggle against the Taliban. Hyena Road is a very good foray into the lesser-charted waters of the Afghanistan conflict. While parts of the plot are familiar to any war-movie viewer (eg. action is centred on small-unit fighting) and others are melodramatic (Sanders is romantically involved with his commanding officer (Christine Horne)), the complicated nature of the story justifies the setting. There is concern over whether the Ghost will help the Canadians, whether he can be trusted in any way; a local power-broker, who has aided the Allies in the past, may be playing his own sinister game; over all is the eponymous highway, a road being driven into Taliban territory in order to shake their hold. Small-scale politics and shifting allegiances have always played a part in Afghanistan’s conflicts, and they are incorporated here. The action scenes are very good, exciting; a running gun-battle in the streets of Kandahar is fittingly claustrophobic. There was a time when home-grown Canadian films were so low-budget as to look almost home-made; those days are clearly over. Without computer-graphics, Hyena Road makes very good use of location (filmed partly in Jordan, some of which looks convincingly like Afghanistan, and partly in Manitoba, which does not, just in case you are wondering) and extras. The acting is more than competent. Leading man Sutherland is son of veretan actor Donald Sutherland and half-brother of Kiefer. Director Gross became famous as Constable Fraser in the television series Due South. The other performers are much less known, but no less creditable. Something that I found different about the movie is its sense of optimism, admittedly guarded. 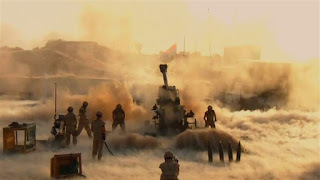 This is only once explicitly stated, but is also found in the reactions of characters to battle, the comradeship between the soldiers, and between Mitchell and his principal Afghan contact (Nabil Elouahabi); this, in spite of the death and destruction prevalent. Hyena Road is not a flag-waving propaganda film (though there is a glimpse of a Canadian flag actually waving), but it presents the Canadian, and, by extension, the Allied, efforts in Afghanistan as being positive, on the whole. Whether or not this is accurate, whether or not the viewer agrees, it does make the film less somber than it might have been. 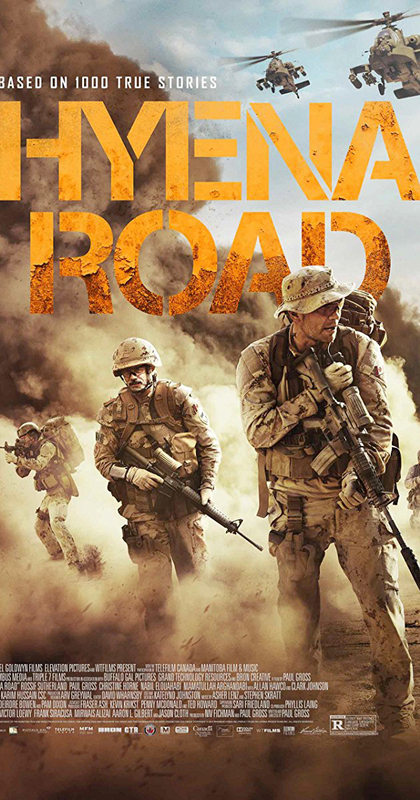 Hyena Road has nothing that quite lifts it into the realm of excellence, but it is a fine study of war in a highly, but localised, political environment, with a setting that makes a difference.